Cooperative Media WNET was set up in December 2011. Its mission was to create and support independent media that respect values such as freedom, responsibility and commitment. The cooperative follows republican ideals based on the Christian traditions of the Republic of Poland and on respect towards the cooperative movement that concentrated in the 1980s around “Solidarnosc” movement. Cooperative Media WNET complements and follows activities that are presented in this respect by WNET Radio station. Its main statutory objective is to build its structure and to support its information platform based on electronic media, with special attention on internet websites, radio stations and newspaper. Cooperative Media WNET encourages its listeners and readers to be more curious about the world and is eager to be promote citizens’ rights by enlarging the area of freedom of speech and broader access to information. This cooperative plays the role of a guardian and animator of local life for many communities and groups, notably through the dissemination of knowledge and the provision of support to the profession of journalism. At present, Cooperative Media WNET has over 600 members whose representatives gather at yearly General Assemblies. 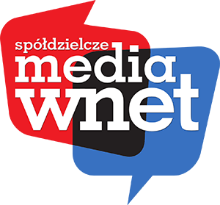 The Cooperative Media WNET is a co-publisher of the Monthly newspaper called “Kurier WNET” – the biggest non-daily newspaper in Poland, which owns two independent regional supplementary papers in the Silesia and in Greater Poland region. Currently, they are preparing the Irish version of the paper in Dublin and Belfast. ← How are cooperatives portrayed in the media?